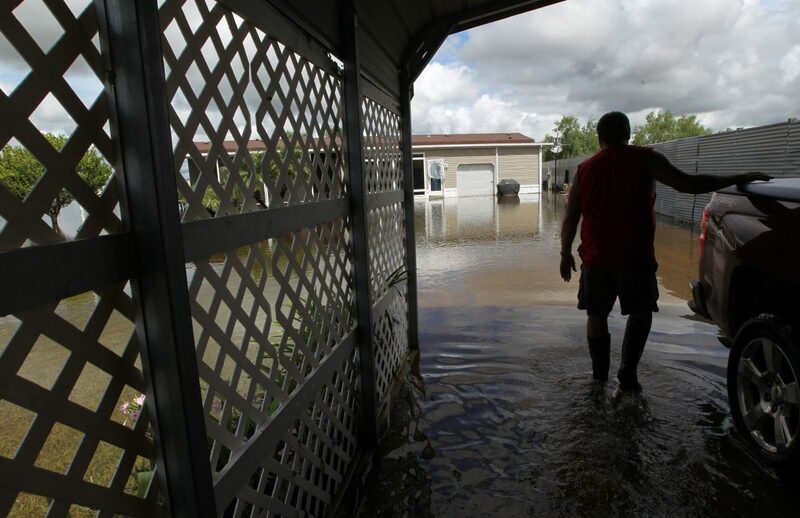 NORTH OF EDINBURG — The majority of Hidalgo County was spared from significant flooding from this week’s rain, but there were a handful of communities that were impacted, including Sandpiper Park, which has been under almost two feet of water since Tuesday. Residents living at the nudist RV and mobile home park at the end of Seminary Road in north Edinburg are tired of being flooded. Willis and her husband Jay believe much of their problem stems from the release of water from the Edinburg Lake located nearby by. 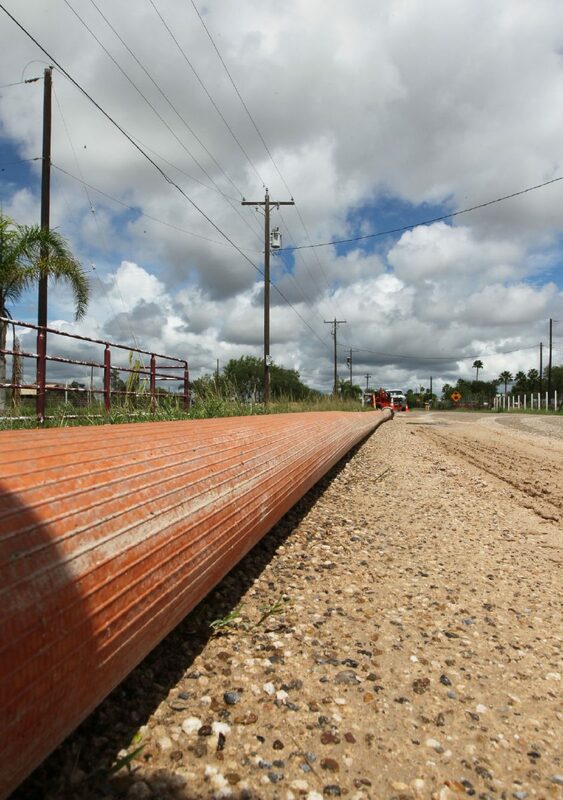 They suspect that when the Hidalgo County Drainage District pumps water out, it ends up flowing into their community. Jay Willis walks down a driveway on his property at the Sand Piper Resort off Seminary Road and Calichera on Saturday, Sept.15, 2018, in Edinburg. Flooded with over 3 feet of water, the Sand Piper Resort residents have been in the knee deep water since Tuesday. 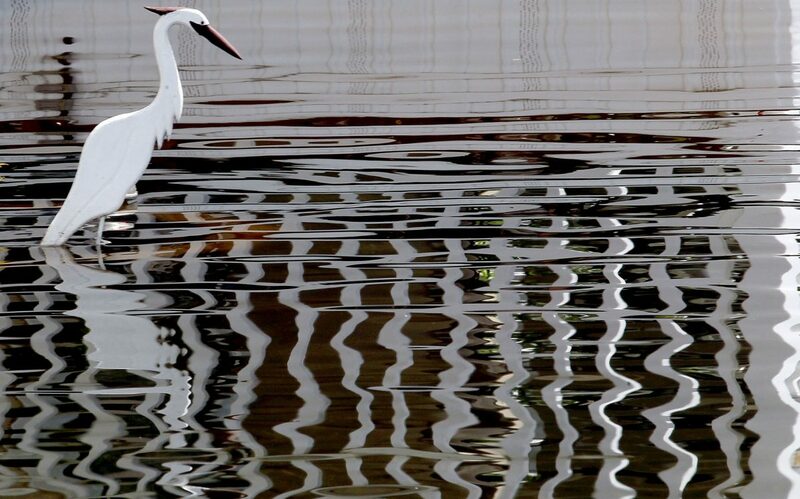 The residents said the county has been draining the Edinburg Lake onto their property since Tuesday on top of the rains we have been receiving Saturday, Sept.15, 2018, in Edinburg. 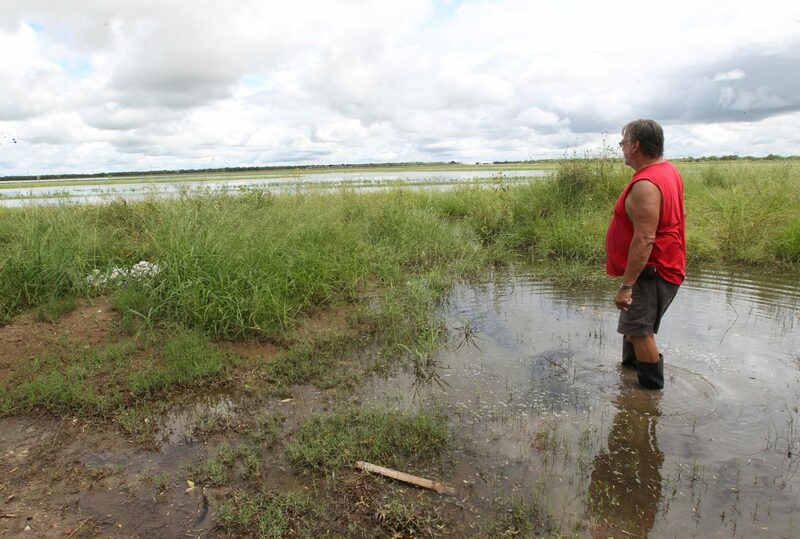 The couple has been trying to find a solution to their problem for several years, but district officials disagree with their assessment, saying the water runs in the opposite direction. 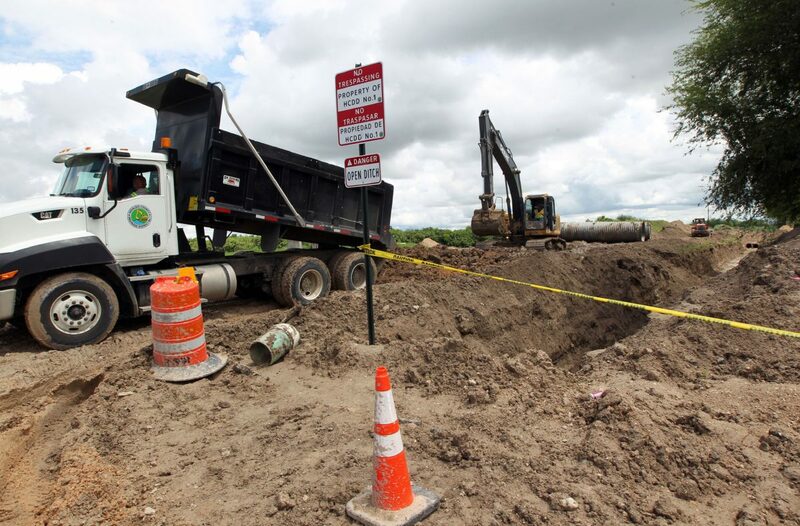 Residents, a majority of whom are retired, were left without air conditioning, water and restroom capabilities as a result of being underwater, Jay Willis said, pointing to the underground septic tanks. The community has a shower house, but it’s difficult for the elderly to wade in two feet of contaminated water to reach it. “You couldn’t drive anywhere without making waves into people’s houses and stuff,” Karen willis said. Her husband drove one of the residents in his truck from the resident’s house to the front of the gate in order to get him to a medical appointment Friday. The couple has purchased four pumps to help drain the area, but there’s nowhere to pump the water, they said. The drainage ditch that runs behind the park was spilling over Saturday afternoon and the county can’t enter the premises to pump the water out because it’s private property. Hidalgo County Emergency Management Coordinator Ricardo Saldaña said the district was pumping water out near the area to help with drainage. 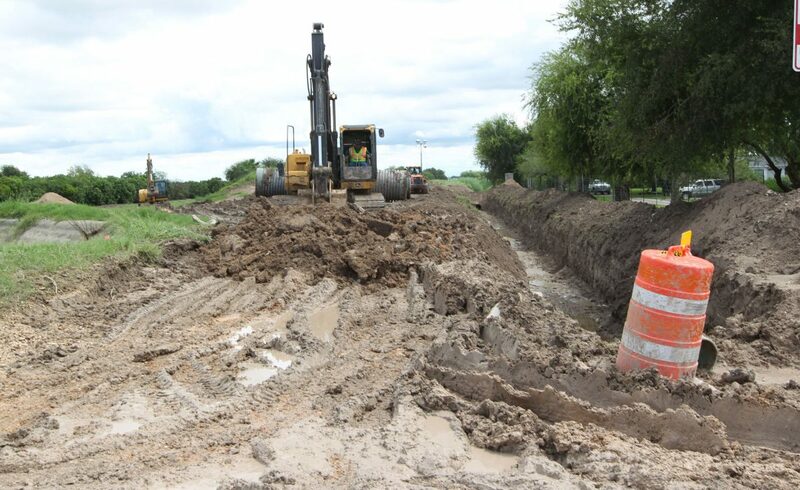 “The drainage district has lowered the drainage canal there in that area significantly to be able to flow water into the inlets to go into that system from Seminary Road,” Saldaña said. 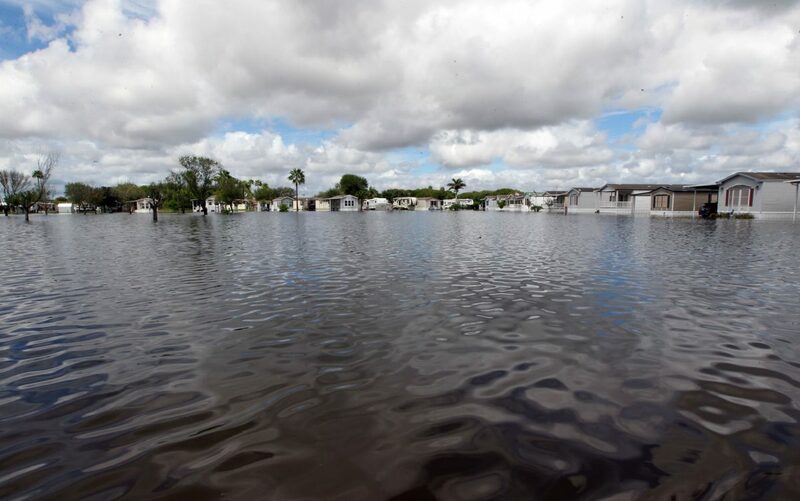 Drainage District Manager Raul Sesin visited the area Saturday morning and assured residents the district was working to help dewater the community, which looked more like a lake than a park. He also said the county was working to build a larger drainage ditch on the north side of the property.